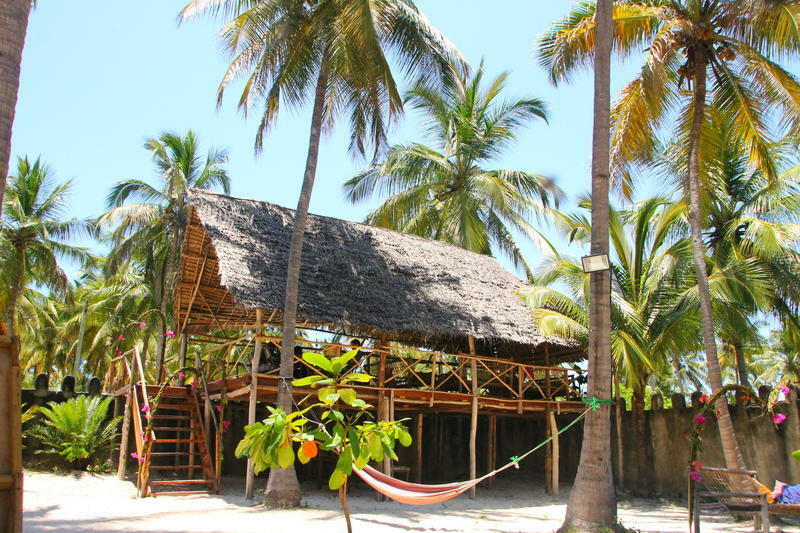 In Paje you will find the perfect mixture of privacy for relaxing and nice parties, bars and restaurants. Beside that you can enjoy a lot of activities like kite surfing and snorkeling. 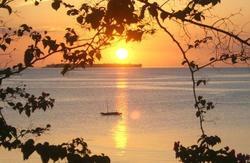 Of course we can organize any trip on Zanzibar for you. Spice Tour, Prison Island, Dolphin Tour, Stone Town Visit, Deep Sea Fishing and of course our special Blue Safari - you'll have the choice. The east coast, especially Paje is famous for its stunning beach. The sand is as fine as flour and white as snow. You should definitely check it out! At NEW Teddys we offer you charming makuti bandas, (bungalows made of woven palm leaves). They are all equipped with mosquito nets and fans. Toilets and showers are shared. Beside single, double or triple bandas we also offer single beds in a dorm bandas. There are no ATMs on the East Coast at the moment so we strongly recommend getting out all the money you need from Stonetown before you make the journey over here. Credit card only for accommodation, food and drinks payment in cash only. We accept payment in Euros, Dollars or Tanzanian Shillings. The most comfortable way is to take a Taxi to Paje (about 40 US$ from Stone Town). It takes you about 45 minutes. Once a day there are shared Taxis to the east coast (10 US$ per pax). Ask for the shared Taxis in your accommodation in Stone Town. The cheapest way is to take the local dalla dalla from Darajani in Stone Town. If you tell them you want to go to Paje they will show you which one to take. There are 3 possibilities (Bwejuu, Michamwi or Jambiani). Normally they can let you out at the roundabout in Paje. If you take the dalla dalla to Jambiani you can ask them to drop you off at our sign on the road. If you have arrived in Paje turn to the right at the roundabout and take the tarred road directing Jambiani. You will pass Supaduka on your left side and after another 200 m you will see the NEW Teddy's Place sign on your left. Now you are nearly there!